VANCOUVER, B.C. – (March 20, 2014) – The Maple Leaf Junior Tour (MJT), Canada’s number one-played junior golf tour and national ‘rep-golf’ program, is pleased to announce that FlightScope®, a world leader in the development and manufacturing of 3D Doppler ball tracking monitors, golf radars and launch monitors for sports, has been named the Official Launch Monitor Partner of the MJT. As part of the new partnership, FlightScope’s Xi+ club fitting technology will be available for use by junior golfers at over 50 MJT tournaments across Canada. FlightScope will also create an area called ‘FlightScope Fun’ on the MJT website where junior golfers can post stats and win prizes. This agreement with FlightScope adds to the strong roster of MJT Sponsors including Presenting Partner, Boston Pizza, along with Premier Partners Ford of Canada, Mr. Lube, Cleveland Golf, Srixon, Gatorade, and Travel Underwriters, and several key Tournament and Product Partners. For more information about Flightscope, please visit www.flightscope.com. For details on the Maple Leaf Junior Golf Tour, please visit www.maplejt.com. The non-profit Maple Leaf Junior Golf Tour presented by Boston Pizza is Canada’s number-one played Junior Golf Tour as well as the only national junior tour run exclusively by PGA of Canada Professionals and the ‘Road to College Golf’ in Canada. The organization is generously supported by Boston Pizza and Premier Partners Cleveland Golf, Srixon, Ford, Mr. Lube, Golf Town and Travel Underwriters, in addition to valued Tournament and Product Partners. 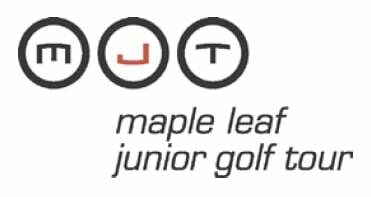 The MJT hosts more than 70 events across Canada, including free Ford Go Golf Junior Clinics, the MJT Mini Tour for 7-12 year olds, and multi-day events for competitive players which also qualify juniors for international competitions. The program offers annual awards, scholarships, and frequent player incentives to help reward player's performance and participation throughout each season. MJT alumni include many Professional Tour players and PGA of Canada Professionals, as well as Canadian Amateur, National and Provincial Junior Champions. The MJT aims to develop champions, in golf and in life, promoting the game from grassroots through to provincial, national, university and professional level. EDH, maker of FlightScope®, is a product development company founded in 1989 by Henri Johnson, inventor and electronic engineer. EDH develops products for the defense and sports markets, and has, as its core expertise, the design and development of 3D tracking radar systems. FlightScope was first demonstrated in Ponte Vedra Beach, Fla., in 2001, and was introduced at the 2004 PGA Merchandise Show. In addition to its use at high-profile teaching academies and by club fitters worldwide, Tour professionals and avid golfers devoted to game improvement use FlightScope for personal practice. FlightScope is also known for its ease of use as well as the precision and accuracy of its technology. FlightScope employs phased array and ballistic tracking technology to accurately record ball trajectory and actual launch data.